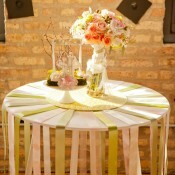 So excited today to show off the last two Inspired Creations Contest submissions from this year’s Indie Wed! 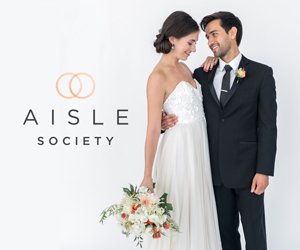 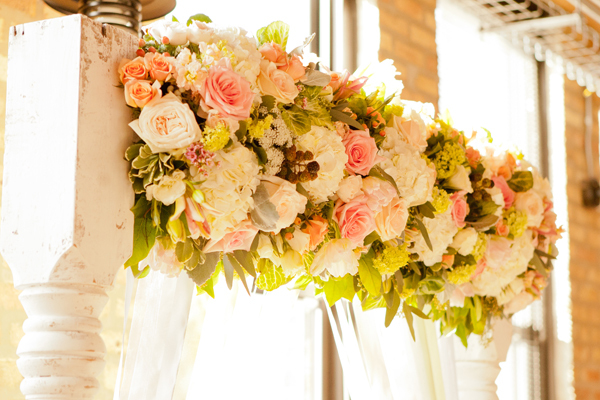 First up, a beautiful “salvage chic” ceremony with whimsical ribbon details and gorgeous florals from Kio Kreations and Hazelton Photography! 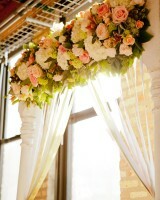 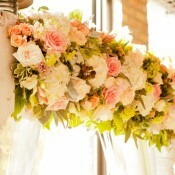 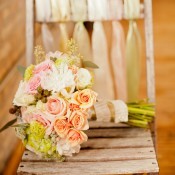 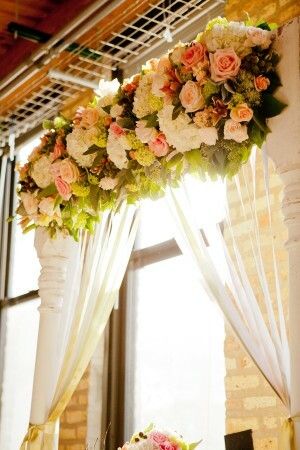 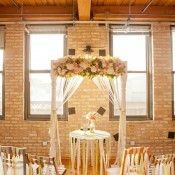 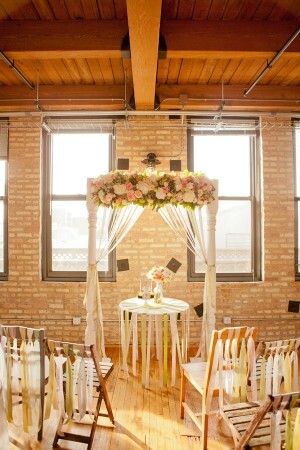 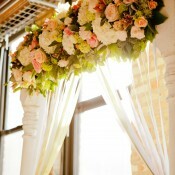 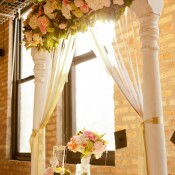 The ladies used repurposed architectural posts, ribbons and lush floral to create an unforgettable arch focal point. 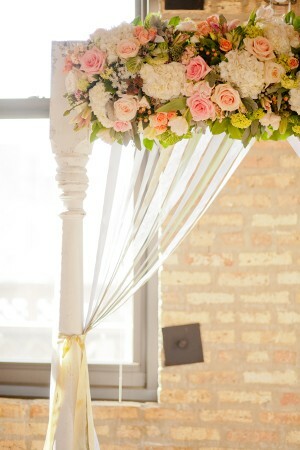 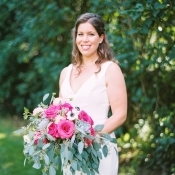 To accompany this lush salvaged arch the bride’s bouquet was made of fresh flowers, berries, and ribbon flowers and guest chairs were tied with ribbon streamers. 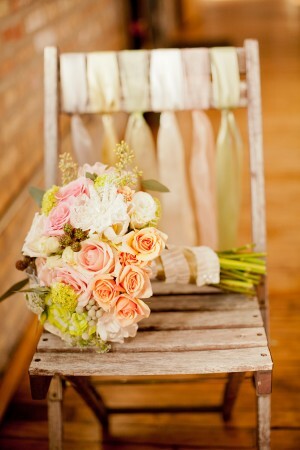 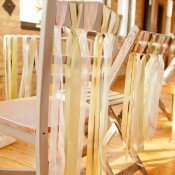 It’s easy to make the lovely ribbon chair decor. 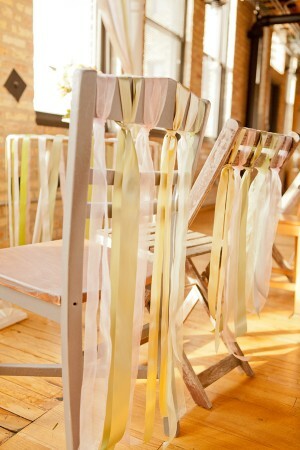 Most chair backs require 5-6 ribbons. 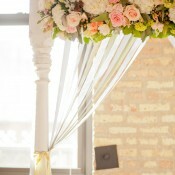 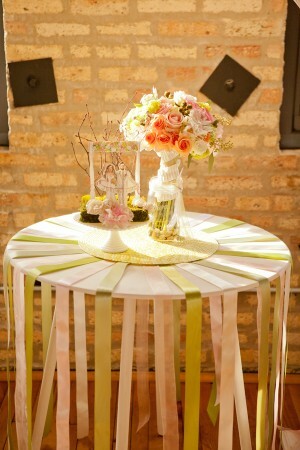 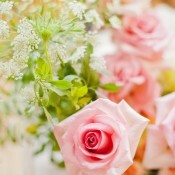 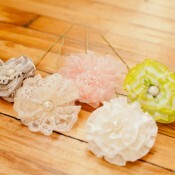 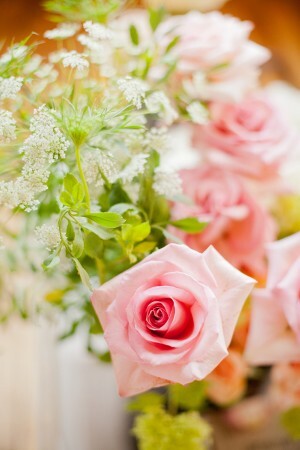 Use 1.25″ thick satin and organza ribbons cut to 40″ long pieces. 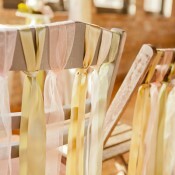 Fold the ribbon in half, make a loop in the fold and pull the tails of the ribbon through the loop. 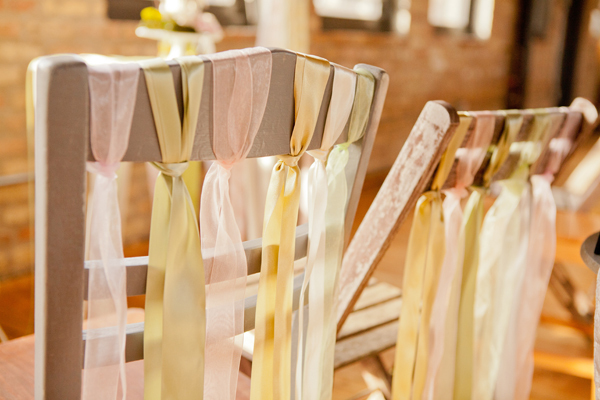 After getting it into the right position, tie the ribbon ends into a soft knot. 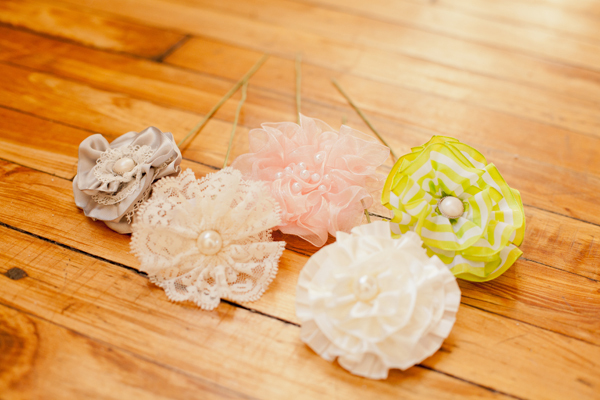 Instructions for the adorable fabric and lace flowers (tucked into the fresh flower bouquet) can be found on one of Kristen’s previous EAD features – Past to Present: Vintage DIY Details. 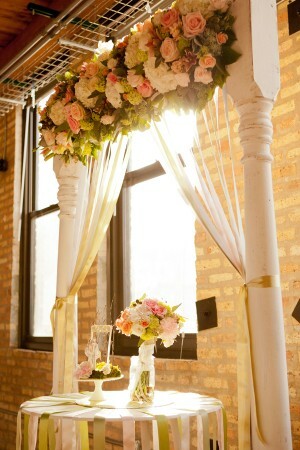 If this is your favorite Inspired Creations Contest idea, sound off in the comments!